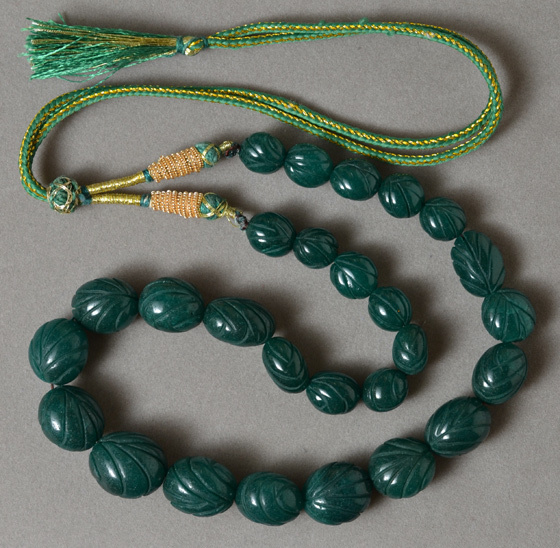 Carved barrel beads from Indian emerald strung on ornate necklace. The beads are on thin thread though and we recommend restringing. They are rubbed with dyed olive oil to enhance color. Emerald graduated barrel bead strand.